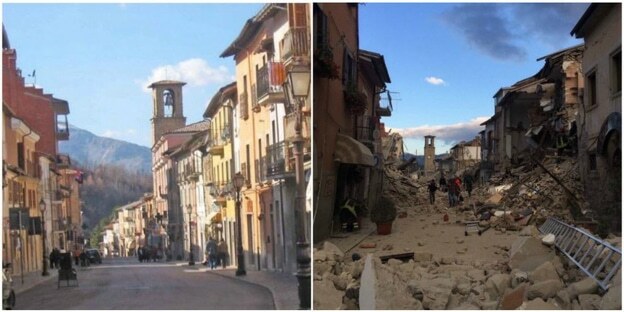 What earthquakes, terrorists and art restorers have in common. 27 Sep What earthquakes, terrorists and art restorers have in common. 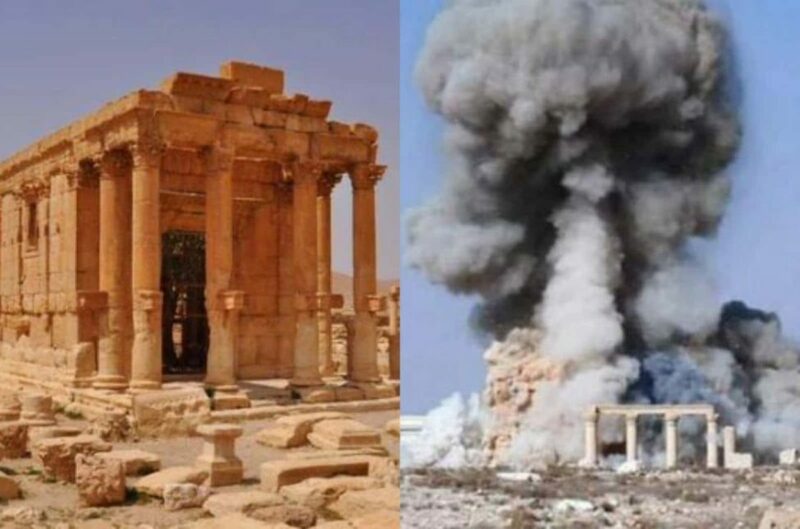 In the light of the recent destruction of cultural heritage in Amatrice, Italy due to a massive earthquake and in Palmyra, Syria due to the terrorist group ISIS we have learned a hard lesson that the world’s cultural heritage is at constant risk from both natural and manmade disasters. While these losses of history and cultural identity are tragic, they can also serve as a wake-up call to drive necessary change to protect our history. We are hopeful that this awareness will drive innovation as well as an openness to embrace new approaches and technologies to save our greatest cultural treasures. Preserving the world’s cultural heritage is extremely important to history, economy, culture, and identity and this somewhat surprisingly resonates especially strongly even with the millennial generation. As such, we should be doing everything in our power to preserve these priceless artifacts including the expansion of our efforts and resources beyond those of the art appreciation world. There will inevitably be tragedies due to natural and manmade destruction, but there ARE ways in which we can improve our stewardship of the world’s iconic works of art and architecture and we can all play a role. This means challenging the status quo, which in the art world is often stuck in the 19th century. What is alarming, and why EVERYONE should be concerned, is the frequency at which opinion guides efforts to “preserve” art in an age where technology and information is more accessible than ever before. Perhaps the most insidious destroyer of art has historically been the art restorer. For centuries artists have been commissioned to “restore” works of art under the auspices of preserving them and returning them to their original “beauty”. The unintended consequences of their good intentions is often permanently altering and thus damaging the work of art. On a basic level this is a form of vandalism. Until now these consequences have been ignored, or even embraced, by an art tradition crafted from a singular opinion of beauty, such as the case of the Da Vinici’s Last Supper or even the more recent Michelangelo’s Sistine Chapel. Without a full understanding of what is original, how is a “restorer” or even a professional preservationist to know what should be removed, cleaned or repainted? The work of preserving art really is more similar to a brain surgery than an artistry; precision is key and informed removal of any part of the work is essential since there is constant risk of doing irreparable damage to the integrity of the art/patient. We continue to make the emphatic case for the study of art to be guided by non-invasive diagnostic technologies that are nearly ubiquitous in the field of medicine. Like in medicine where the experience and opinion of a general practitioner often guide the tests that a doctor may recommend for diagnosis, it is the results or data from those tests that drive informed decision making. Experts are often consulted to read images and analyze test results to properly diagnose and recommend a course of treatment with the primary goal being the health of the patient. As stewards of our cultural heritage, we all should insist on preserving works of art and not just impressing an audience with their beauty. The imperfections of the original work along with the effects of age and human wear often tell their own stories and add to the interest. We believe that the study and curation of art needs to embrace the technology of the 21st century. Just as we don’t use leeches to bleed people or perform regular lobotomies anymore to cure well understood diseases, we should use our knowledge and available technologies to properly care for and treat our “art patients” that are centuries and sometimes millennia old. This requires the engagement of disciplines that are not traditionally seen when studying fine art including Engineers, Chemists, Geologists, and IT experts. The study of earthquake engineering, for example, has progressed significantly in the last few decades enabling us to mitigate the damages caused by seismic events. In the case of monuments, building and statues we should be embracing the expertise of structural engineers and architects to guide innovative approaches to surviving the ravages of Mother Nature and time. Diagnostic imaging and analytical techniques allow us to study artifacts’ states of health in order to take necessary actions that will preserve them for generations in the face of aging. Digital documentation of art and architecture provides data and images that can be shared, studied and explored even if the originals were to be altered, lost or destroyed. We are working to implement these changes in the management of cultural heritage at any scale from drawings and paintings to statues, monuments and entire buildings through the introduction of a Clinical Chart for Cultural Heritage. 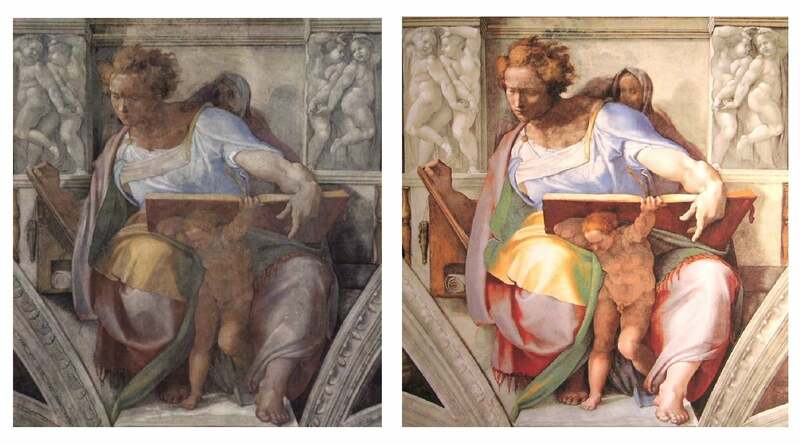 While we have specific expertise in scientific art authentication, we see opportunity to applied science and technology to explore, study and protect the health of iconic monuments like the Baptistery in Florence, Italy, the lost mosaics of the Hagia Sophia in Istanbul or Klimt’s Beethoven Frieze in Austria. Every day that goes by, we lose priceless pieces of our heritage. Some of these losses can be prevented or postponed, but we all need to contribute our voices to preserve our heritage by showing support and interest. So many acts to “preserve” works of art have been focused on restoration that ultimately aim to modify the look of a piece as opposed to preserving and prolonging the LIFE of the piece. Especially with the advancement of imaging and visualization technologies (virtual and enhanced reality), all of these visual restorations should strictly be done digitally as not to physically alter the artwork of history’s great masters.